I bought some bright and cheerful flowers at Central Market this weekend. They make me smile every time I look at them. 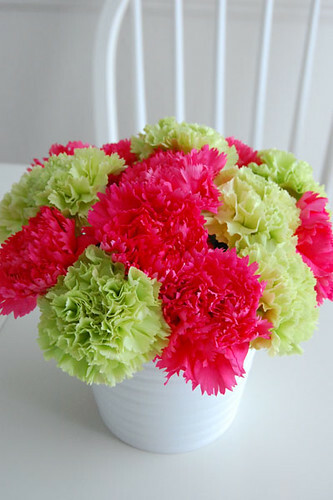 I heart Carnations.